The Town of Dayton officials meet in the fall to prepare for the next calendar year budget. They will compare last years actual expenses and revenues to the current years numbers and project the next years budget. By September, the town will have a estimate of the next years shared revenues and state payments to the town for town services. In recent years, the State of Wisconsin has limited or reduced state shared revenues for the towns’s budget. The town officials will publish the recommended budget in early November and set the date for the special meeting of the town’s electors. The residents at this meeting vote to set the property tax levy for town purposes, although this represents only about 10% of the property tax bills. Approximately 50% of the property tax bill is based on the School District levy, 30% for Waupaca County, 10% for Fox Valley Technical College and 10% is used for town purposes. Property Tax bills are printed in mid-December and mailed out by the County. Payment Instruction are included in your property tax bill.  The Town of Dayton Treasurer will arrange office hours prior to December 31 to collect taxes for those wishing to prepay their taxes to take advantage of the deduction on their income taxes. Additional office hours are arranged in late January. For residents choosing to pay half of their property tax bill in July, the second installment must be made directly to the Waupaca County Treasurer at the Waupaca County Courthouse at 1406 Royalton St.